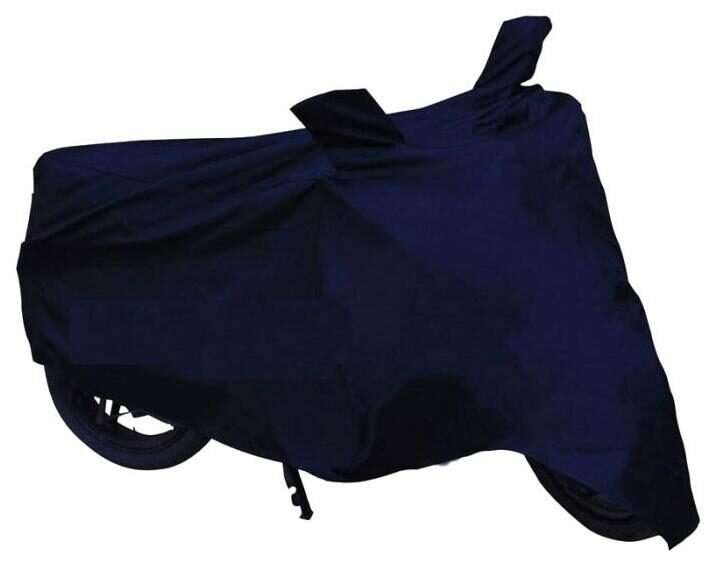 Overview Get the Star Bike Body Cover which is suitable for your scooty or bike .It fits easily to your vehicle. Now protect your vehicle against weather scrapes, scratches and sun damage with this value for money product brought in association with your favorite shopping site . Design These accessories are fabulously designed to match your style, needs and comfort. It comes in a different-2 colors which looks extremely beautiful when you cover your vehicle with it. Features It is an exclusive product which is made up of a high quality material which does not corrupts or catch dirt easily. It is really very easy to wash it and you can do it once or twice a month, depending upon your need. It is very easy to install with your vehicle and removal also. Your scooty/bike needs this value for money product. So why waiting for? Grab this amazing product now!